Pick up your copy today! Available now on Amazon.com and Barnes and Noble and major retailers! 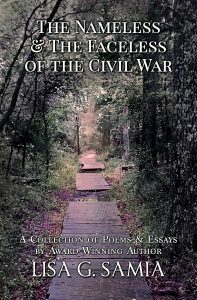 I will be reading 3 poems from the book that relate to John Wilkes Booth at the end of my presentation at the Dr. Samuel A Mudd Museum on Sunday July 15! The presentation is on John Wilkes Booth, the son, brother, uncle and actor! Check out this article on my book “My Name is John Singer” a romantic historical fiction book based on John Wilkes Booth. The article highlights my research and reason for writing the book. Thank you Valley Press reporter Sloan Brewster for a great article! Check out this article on my inspiration for writing my book “My Name is John Singer”, a romantic historical fiction on John Wilkes Booth. History tells on April 26, 1865 booth was killed at Garrett’s barn in Port Royal, Virginia…or was he?